I’m not sure about those of you with kids, but my daughter is OB-sessed with slime. She can watch slime-making YouTube videos until the cows come home and I’m fine leaving her on her own to make her slippery concoctions as she’s super-careful and responsible with how she handles the ingredients (and a little tip; if you don’t like the idea of Borax, she uses contact lens solution very successfully). The other day we were at a birthday party and some of the older girls were chatting really effusively about something on the net. I sidled up and asked what they were looking at (SUCH an uncool move, I know, but I’m a bit of a curtain twitcher). One of them showed me the site, called Mush, and then showed me a slime she’d made the week before at a slime party hosted by Mush. The one she had made was called Grape Slush and it was INSANELY crunchy and fun to play with and smelled amazing, exactly like Fanta Grape which is one of the most evocative scents of my childhood (and which immediately made me think of Vicki… Let’s just say it’s her spirit drink). After the girls ran off I carried on browsing, and oohing and aahing over the delightful names and fragrances. And as a bona fide slime expert thanks to my curly-haired wannabe scientist, this is the good stuff. Non-toxic, great quality, and made by a mom-and-daughter team Adelle & Mia with love, passion and creativity, the names and fragrances are enough to make you swoon: think Melted Candyfloss (yummy), Sea Breeze (clean and fresh), Queen of Hearts (rose scented), Candy Apple, Peaches & Cream, Cherry Sparkle, Icing Swirl (strawberries and coconut! ), Lime Fizz, Banana Chewy, Neapolitan Ice-Cream… You get the idea. 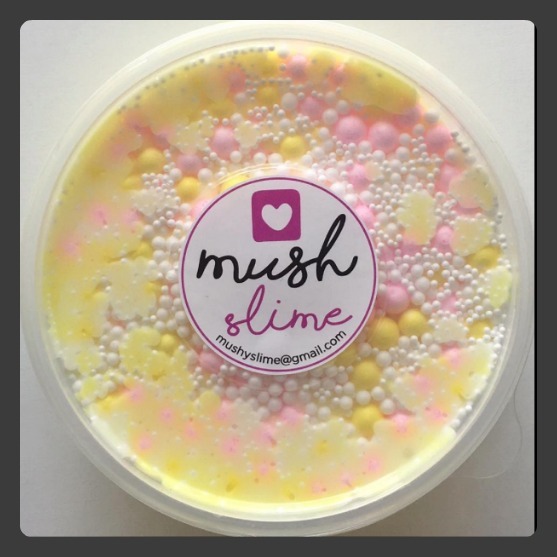 MUSH has a thriving online store and though based in Cape Town they courier all over South Africa. 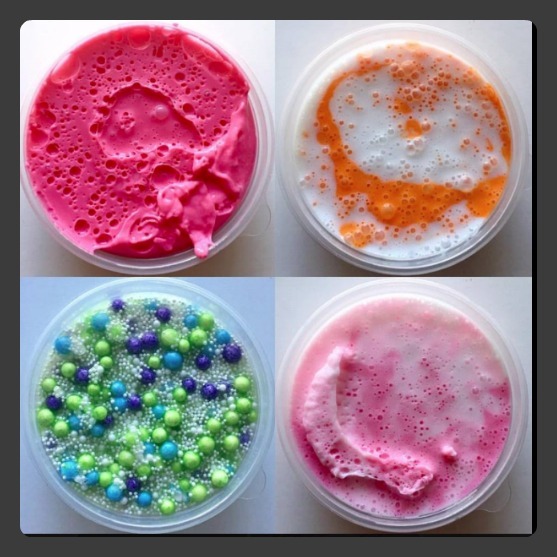 I also love that they do slime parties (I’ve already had a declaration that we ABSOLUTELY HAVE TO do this for when my daughter turns eight) and workshops, either at their HQ in Durbanville or your home. As a slime convert by osmosis, I’m won over by Mush. Check out their YouTube channel, Facebook page and Instagram for updates and deeply satisfying-to-watch videos. 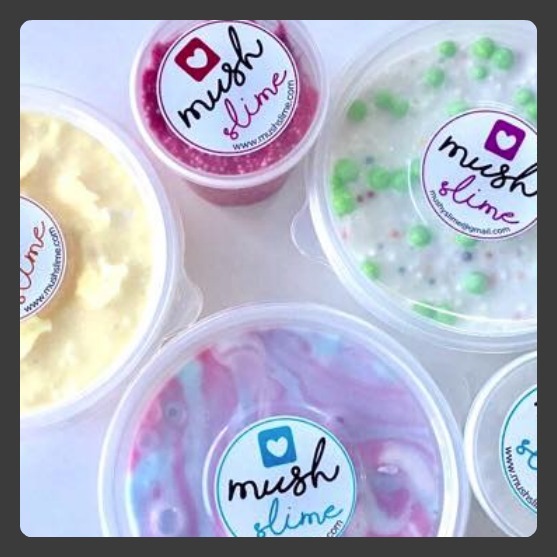 Mush are giving I Want That readers two places at one of their slime workshops at their HQ. Treat your kids or your kid and their bestie to a super-fun and creative time where they’ll get to design their own slime and take it home. *MUSH recommends that kids need to be eight or older to do one of their workshops. My daughter Francesca would absolutely love this workshop! She loves slime and mixing and making up anything really. She is turning 9 next week and unfortunately not having a birthday party this year….so I would love to win this giveaway for her! Rosebud would love this. We have potions all over the bathroom so would be great to encourage this mixing in a workshop as opposed to our house! My slime-obssessed 9-year old spent 45GB data being fascinated with millions of Youtube videos. We’ve spent 100’s of Rands buying tons of different slime ingredients. She needs this workshop…badly…please. I know a young Tom who would love to get his fingers slimy!